The Arizona Cardinals and Carolina Panthers will kick Wild Card Weekend off on Sunday when they meet at Bank of America Stadium in Charlotte, North Carolina. Carolina enters the postseason as one of the NFL’s hottest teams, winning its last four games and taking top honors in the depleted NFC South. Much of the Panthers’ success has come from the offensive output of star quarterback Cam Newton, who looks to solidify a spot in his second consecutive Divisional Round Game with a win at home on Sunday. He’ll have to get through the 11-5 Cardinals first, however. Sunday’s game serves as the least expensive Wild Card Game of the weekend on the secondary market. 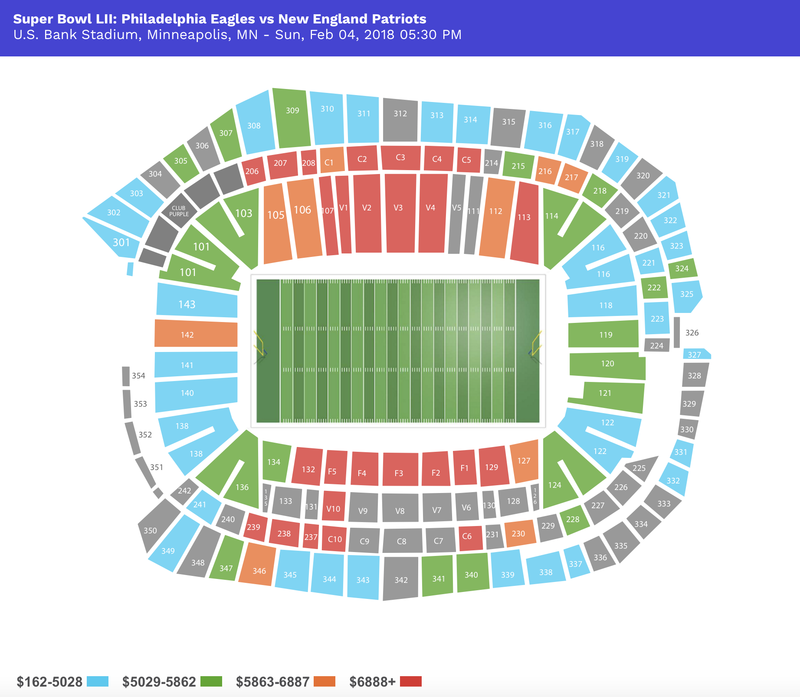 Currently, the average secondary price for Panthers vs Cardinals tickets on TicketIQ has dropped over 51% in the last week and is $136 with a get-in price starts at $55. On top of the offensive outpouring Newton has led for Carolina, the Panthers’ defense has allowed just 11 points per game on average during its current four-game winning streak. The defensive line also posted six sacks in Week 17 against the Falcons en route to a 34-3 win in Atlanta. Falcons quarterback Matt Ryan threw two interceptions in the final regular season game which were returned for touchdowns and stood as no match for the surging Newton, who completed 10-of-16 passes for 114 yards and captained a running game that elicited 194 yards. Despite their less-than-favorable 7-8-1 record, the Panthers have earned a spot in the playoffs due to a divisional blunder in the NFC South. Carolina has averaged 127.3 rushing yards per game and enters Sunday’s game as seventh best in the league. However, the run game will be tested by a strong Arizona defensive core. After winning 11 games, the Cardinals head to Charlotte with Super Bowl intentions in mind. Just three wins separate them from playing on the NFL’s biggest stage, which will be held at their home field in University of Phoenix Stadium in Glendale on February 1. The Cardinals last played in the Super Bowl in 2008 and fell to the Steelers. Cam Newton and Co. will be their first test this postseason. The Cardinals will rely on Ryan Lindley under center, who hasn’t proved to be a starting-caliber quarterback in an injury-prone season for Arizona. Lindley has completed just 48 percent of passes since filling in for the ACL-torn Carson Palmer earlier this season. On top of his bleak passing percentage, he also owns a 56.8 QBR and has posted just win for Arizona in three starts. He passed for better than 300 yards against the 49ers in Week 17 but also threw three interceptions. The Panthers’ secondary will hope to exploit Lindley’s inexperience when they host the Cardinals on Sunday. As far as history goes, Arizona has won two straight games against Carolina since the 2013 season. They last met in November of 2013, where the Cardinals took a 22-6 victory over the Cardinals. Past numbers will be thrown out the window for Sunday’s matchup, however, as each team looks to inch one step closer to the Super Bowl Game in Phoenix next month.